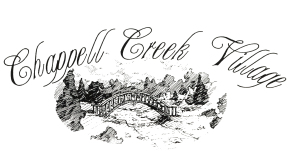 Great community to live insubmitted by Mary K. - Apr 18, 2019 |Recommended: YesChappell Creek has been a great place to live. I've been staying in the 3 Bed 2 Bath w garage floor plan. We haven't had too many issues with noise, sometimes we do hear conversations or a dog barking if people are talking in the in the entryway or by a window, but for the most part it's quiet. There's a walking path around the property which has been really nice to have access too. The interior of the apartment is nicely maintained and the exterior was just repainted. response from property - Apr 19, 2019 Mary, thank you so much for taking the time to write your review, we love having you as our resident! Can't think of a single bad thing.submitted by Christopher A. - Apr 02, 2019 |Recommended: YesI love living here. The staff knows me, and maintenance gets taken care of very quickly. Events on the property also lend to a real sense of community. Overall it's a wonderful place to live. response from property - Apr 19, 2019 Thank you for your review Chris, we appreciate having you as a resident here with us! Apartment Reviewsubmitted by Michael H. - Dec 04, 2018 |Recommended: YesEverything was fine, but the electric bill was ridiculous. The apartment did not hold ac or hear well. response from property - Nov 05, 2018 Thank you, Maci! We love having you as a resident! Beautiful, quiet and a well taken care of property.submitted by Brittany C. - Sep 21, 2018 |Recommended: YesChappell Creek Village is a very quiet and relaxing place to live. All the residents are very kind and friendly and it is a nice environment to live in. The apartments are very open and are very spacious. Chappell Creek is a wonderful place to live. response from property - Sep 24, 2018 Thank you, Brittany, we love having you as a resident! response from property - Sep 24, 2018 Thank you for your review Montserrat, we enjoy having you as a resident! Excellent place to livesubmitted by Deborah A. - Jun 24, 2018 |Recommended: YesGreat place to live Very quiet, friendly people and fabulous staff. response from property - Jun 25, 2018 Thank you so much, Deborah! We are so happy to hear that you're enjoying your time here at Chappell Creek. Very Pleasesubmitted by Lennie B. - Apr 02, 2018 |Recommended: YesI am very happy with Chappell creek. Overall excellent place to live. response from property - May 30, 2018 Thanks Lennie! We are so happy that you are enjoying it here. We hope you make Chappell Creek your home for a long time! response from property - Feb 28, 2018 Thank you for your review, Caitlyn! We are so happy that you're enjoying your time at Chappell Creek. Great place to livesubmitted by Jacob B. - Oct 02, 2017 |Recommended: YesMaintenance Staff are professional and quick to respond to fixes you may need around the home. Nice and calm placesubmitted by Kalyan B. - Jun 01, 2017 |Recommended: YesThis apartment is nice and clean. We get a prompt response mostly from management for any maintenance related issues. The only thing lacking was the quality of appliances. They are very old and not steel. Greatestsubmitted by Erik C. - Apr 30, 2017 |Recommended: YesIt feels like home. No worries when it comes to the neighbors.